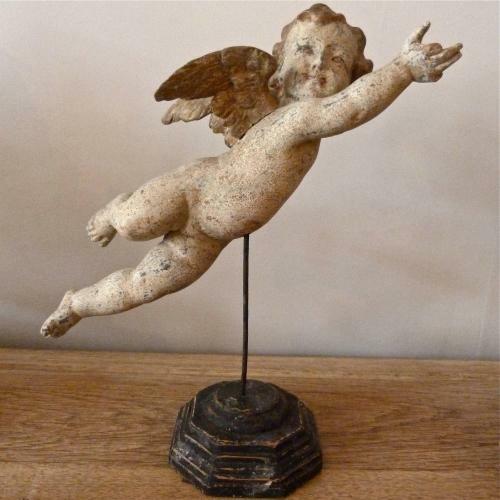 Rare and highly decorative Italian flying angel in original paint. Can be displayed on its stand, or hung from the ceiling. Circa 1780 - 1800.